Two Chicks On Books: Blog Tour- THE SIN EATER'S DAUGHTER by Melinda Salisbury An Exclusive Scene and A Giveaway! 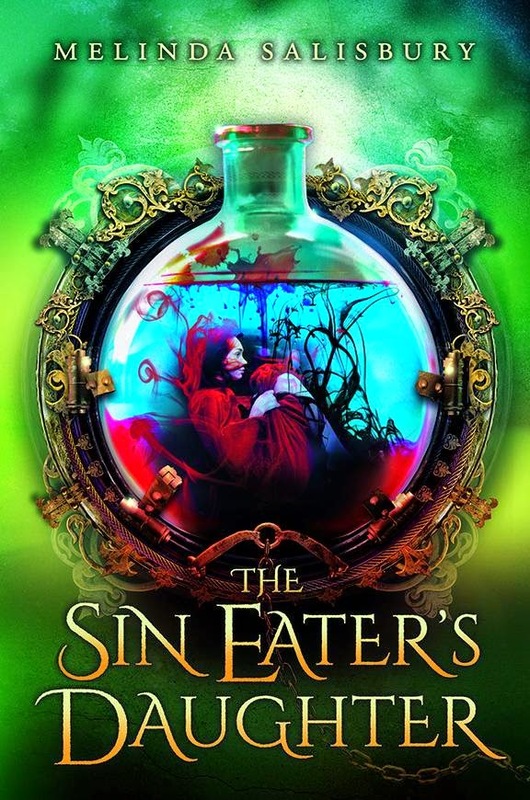 Blog Tour- THE SIN EATER'S DAUGHTER by Melinda Salisbury An Exclusive Scene and A Giveaway! Hey y'all! I'm super excited to take part in the blog tour for THE SIN EATER'S DAUGHTER by Melinda Salisbury! I freaking loved this book it's a high fantasy from a very talented debut author and I can't wait for the next book in the series! I have a special scene from Prince Merek's POV for you today I think it's kinda perfect to close the tour this way. So check it out and make sure to stick around for the giveaway! 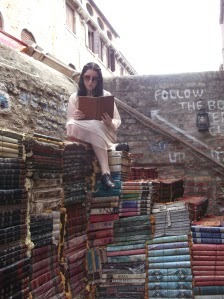 Haven't heard of THE SIN EATER'S DAUGHTER? Check it out! Now on to the special scene! Merek’s return to life at court. It feels like cheating to hunt with the dogs. It’s hardly fair on the stag we’re chasing. I haven’t seen it in some time - we’re following way behind the mutts, thank the Gods - but when we first spotted it, I saw the fury in its eyes, the sheer, disbelieving arrogance that we would dare hunt it, before panic took over and it turned tail and ran. It stood as tall as me, its antlers double that, maned and proud before we forced it to flee. The king of the forest knew it was out of time and it hated us for it. To be quite honest, the entire hunt feels utterly pointless. We’re not hunting, we’re following some diabolical hounds through a wood so they can tear a creature apart as we watch. There’s no skill needed, no honour here. Still, it’s better than the ball she’d wanted. I feel the corners of my mouth turn down at the thought of my mother and I pull them straight. It’ll be over soon enough and that poor beast will die a violent death so I might be spared other agonies. From somewhere ahead, hidden from sight by the trees and shrubs, the stag screams and a chill runs down my spine. It doesn’t seem just for an animal like that to meet its death at the teeth of my mother’s monsters. It deserves more. I meet the gaze of Taul, one of my guards. For a moment we are united in our distaste for this performance; I know his grim disapproval matches mine. Then the sound of hooves pounding the forest floor and I take a deep breath, spurring my own mount on, Taul doing the same behind me. The carcass is a mess when we arrive, the ground smeared with blood and the hounds snarling and snapping at each other, competing for the meat. Already one of the smaller ones is curled on the floor, motionless. The Master of the Hounds is trying desperately to tempt them away so he can saw the antlers off, but even with his spear driving them back he cannot get close. We all sit on our horses in a semi-circle around the scene, everyone watching in grim fascination, Lord Bennel sipping from a small flask in what he clearly thinks is a subtle fashion. I can feel my step-father’s gaze on me, his face flushed and happy. I keep my own eyes down. There’s so much red. Eventually, we turn the horses away and the largest hounds begin to drag the stag after us. The men laugh and joke as we head towards the feast, but I hold back, riding in silence. Behind my ribs my heart starts to speed up, I feel a sweat break out beneath my tunic. This is the part I’ve been longing for and dreading in equal measure. I spot her immediately when we enter the clearing, her hair shining like fire, orange and copper. The first time I saw her that’s what I thought; that she was somehow made of fire. She’d glowed with it. But she’s dulled now, I see as I move to sit opposite her. Her shoulders slump, her eyes cast down. I look to my mother, feeling my jaw tighten. “Good sport?” she asks my step-father as he pulls his goblet towards him. I raise an eyebrow. We certainly did not bring him down; we were all in the forest when the beast was killed. I look at Twylla to see what she makes of this, but she is staring at the table, wincing involuntarily at every crack of bone. “For them.” There is a threat in her voice and I look away before she can see the rage her dismissal births in me. I cannot recall ever loving her, but since my return two days ago I’ve realized how much I dislike her. I cannot bear to be near her. My own mother. Gentle? Like her hounds? Like her mercy? Spare me. But before I can reply she continues. “My son, the traveller. I only hope Lormere has enough to occupy him now.” She smiles at me and reaches for my hand. Without thinking I move, grabbing my knife and stabbing it into the bird in front of me. Aware the entire court is watching, and knowing I’ll pay for it later, I tear a chunk of meat from it and chew, keeping my eyes on hers until she looks away, fury burning there. It was worth it, I think, when I catch Twylla looking away from me, her eyes curious. If it gave her even a moment’s amusement then it’s worth whatever punishment my mother metes out later. She pulls a necklace from her gown and toys with it as she scours the table and after a moment I realise what is hanging from it and put the bird down. I’m struck dumb by the callousness of it, by the stupidity of it. It was ancient. I hadn’t even planned to give it to her; she saw it by my bed and assumed it was for her. I found it by sheer dumb luck, at the bottom of a cliff. It must have been there since before the fall, the last remnant of civilization. Utterly invaluable and she made it into a bauble. Some of the court laughs and I welcome the break in the tension, about to make a joke when I see my mother’s face. If looks could kill then Lord Bennel would surely be dead now; there is nothing less than murder in my mother’s eyes. Everyone can see it, the entire company is frozen, watching. Mother says nothing, I say nothing, clamping my jaw shut, the familiar feeling of fear taking over. When she leans back they all take a collective breath and the party begins again. But it’s not over. We are in the eye of her storm, I realise. “Twylla, you will sing now,” she snaps at my betrothed, who jumps out of her seat and walks to the end of the table. I watch her all the way, taking in her figure, her red dress, her unbound hair and I see in the way she walks that she’s terrified. She knows it too. I watch her sing, watch the way her eyes focus on a spot beyond us, above us, watch as her shoulders lose some of their stiffness every second that goes past and the axe does not fall. Her voice is even lovelier than I remember, and I feel my own face relaxing as I watch her, feel my lips pulling into a smile. I have missed nothing about Lormere at all over the past two harvests, save for this. Save for her. In the dappled light through the canopy her hair shines, her eyes gleam the same green as the leaves behind her. When we are wed I shall have her sing to me every night before we sleep. I shall let her sing all day if she wishes. Then her gaze changes, her shoulders stiffen again and her face pales. I look around for the cause of it and see Lord Bennel whispering at Lady Lorelle. At the head of the table Twylla is tossing her hair back, gesturing wildly with her hands and I realise she’s trying to keep our attention on her. She’s trying to save him. But it’s futile, beside me my mother has gone as still as a snake, her knuckles whitening on the stem of her goblet. I’m possibly the only person unsurprised by the flash of motion and the shattering glass, I saw an instant before she did it what she meant to do. Bennel reddens and leans towards her. “Forgive me, Your Majesty, I was merely saying to Lady Lorelle how lucky we were to live in such times, to have Daunen Embodied amongst us once more. I meant it to be a compliment.” He gestures at Twylla and in the process knocks his wine glass down. Beside him Lady Lorelle closes her eyes and swallows. “No, Your Majesty.” His response is a beat too slow. I look at my step-father and he speaks, only managing to say her name softly before she cuts him off. He looks at me and frowns, before turning away completely. “I – Your Majesty?” says Lord Bennel. “Go. You interrupt Daunen Embodied with your chatter and you interrupted a private conversation between me and my son with nonsense. Do not aspire to be in my company until you have learned some manners.” She tosses the broken glass to the floor, watching him from the corner of her eye and she pretends to ignore him and my stomach roils at the cruelty of it. As soon as he calls for his horse, she strikes. He still doesn’t fully understand. Somewhere at the edges of consciousness he knows – like the stag this morning – that something is deeply wrong, but he’s too drunk to see it. I hope he is so very drunk he doesn’t feel a thing. This is partly my fault, I shouldn’t have goaded her earlier, I should have been the dutiful son she wanted me to be. Had I been sweeter, she might have been too. I look again at Twylla and see she understands what will happen next too. At my mother’s instruction Twylla begins to sing and I want so very much to thrust my glass into my mother’s face. Twylla’s voice is shaking, as are her hands and I want to take her from this Gods-cursed place. My mother summons the Master of the Hounds and I close my eyes, focusing on Twylla’s voice. They fly open at Lord Bennel’s scream. No one looks at anyone else, the injustice and horror paralyzing all of us. Paralyzing me. Who did nothing to stop it. Said nothing. I saw it all coming and I let it. Even my future bride, dying by degrees so very clearly, tried to do something. I look at Twylla in time to see the hatred flash over her face before she does as she’s told. Her voice is steady now, powerful and I feel a sudden rush of blinding admiration for her. I cannot take my eyes from her, not while she sings, not when she returns to her seat, not when she toys with her food. She tried to save him. My mother hasn’t extinguished her yet. I can feel my mother watching me, watch her and I know I should look away but I can’t. There is still fire in her. And if she can fight, then I can fight. We can fight together. She will be the spark that starts the fire to purge Lormere of the madness of my mother. Throughout the ride home I try and work up the nerve to drop back and talk to her, but never summon the courage. I’m not as brave as she. Instead I keep my eyes forward, watching the castle loom closer. My mother throws herself from her horse and marches up the stairs, scattering everyone in her way. My step-father and I follow, but before I go inside I turn and there she is, dismounting. Our eyes meet and in that moment the whole word ceases to exist, there is just her, blazing in the afternoon sun. My mother calls me and I turn away automatically. But I have an idea. Thanks so much Melinda for this scene! I love Prince Merek!!!! That is a beautiful cover! This one's on my TBR for sure! Love the cover.